How to prepare for confession. O my God, I thank you for loving me. I confess to almighty God. O my God thank you for forgiving me. Help me to love others. THE PARABLE OF THE LOST SHEEP. “Suppose one of you has a hundred sheep and loses one of them. Doesn’t he leave the ninety-nine in the open country and go after the lost sheep until he finds it? And when he finds it, he joyfully puts it on his shoulders and goes home. 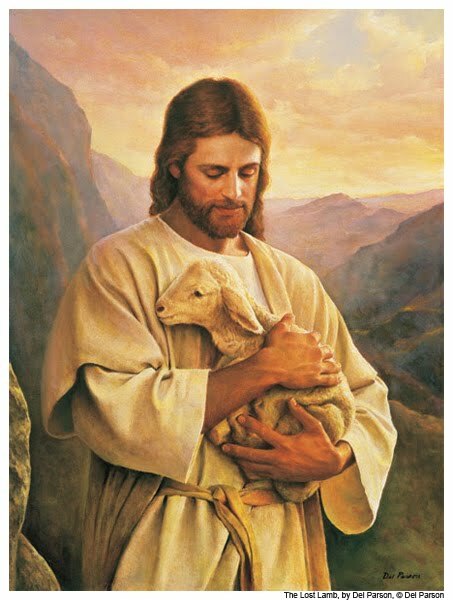 Then he calls his friends and neighbours together and says, ‘Rejoice with me; I have found my lost sheep.’ I tell you that in the same way there will be more rejoicing in heaven over one sinner who repents than over ninety-nine righteous persons who do not need to repent”. To understand what it means to celebrate theSacrament of Penance we must first believe that we are loved unconditionally by God. The Alive-O Religious Education programme, used in our schools, helps your child to understand and experience God’s love through story, prayer and activities. The unconditional love that they experience at home is essential in helping them to believe that God always loves them. Your child knows that you will always love and forgive them no matter what. If this is true of their parents then they can only begin to imagine how much God loves them and how willing he is to forgive them. 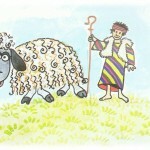 One of the stories that best illustrates God’s love for each one of us is The Lost Sheep. The images of the sheep and shepherds are often used in the Bible. Sheep need to be cared for, protected and looked after by the shepherd. In the Old Testament God chose shepherds to be leaders on more than one occasion, e.g. Abraham, Moses, David. 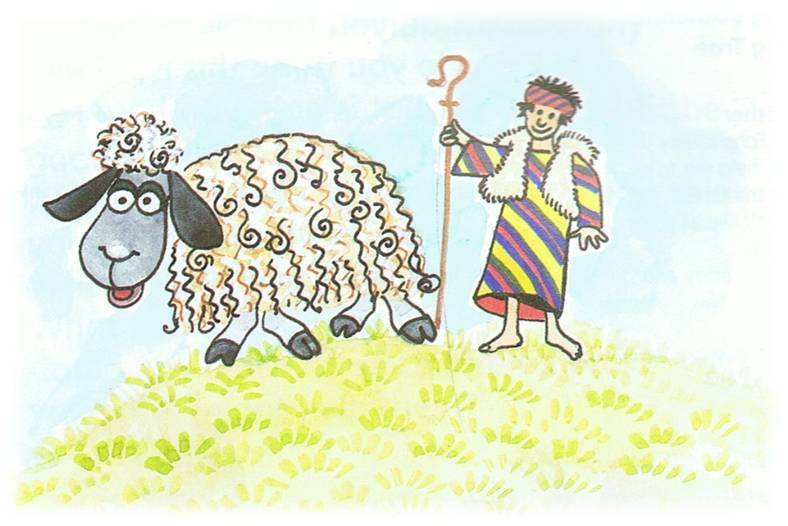 In the parable of The Lost Sheep we are encouraged to see God as a shepherd who always cares for and looks after all the sheep of the flock. God even goes to find the one sheep out of a hundred who gets lost. This is the Gospel story that will probably be read at your child’s First Penance celebration. This parable will be read and discussed in school. They will talk about the experience of the sheep and the shepherd. They will explore what it is like to be lost, not just in a physical sense, but separated from those they love when, for example they throw a tantrum or behave inappropriately. Through further conversation and discussion they are helped to see that they need to say sorry for the times when their behaviour has been destructive or has caused pain or hurt. You can help your child to better understand this by spending a few minutes during prayer time looking back at the day and seeing if there is anything for which we need to say sorry. Include yourself in this reflection. It is important that children hear the adults in their lives acknowledge the need to say sorry. You can finish your prayer time together by praying the Act of Sorrow. In all that the children do to prepare for First Penance they are learning how to take the necessary steps for reconciliation with themselves, with each other and with their God. So, they come to the celebrate their First Penance secure in the knowledge that they are always loved by God and that it is good to take responsibility and ask forgiveness for those times when their behaviour has not reflected their goodness. They are learning that it is important to say sorry and accept the forgiveness that is given them in love. Very Rev. John Kingston P.P. Rev. John C O' Donovan C.C. © 2001-2014 Bandon Parish. All rights reserved. Bandon Parish, St. Patricks Church, Bandon.